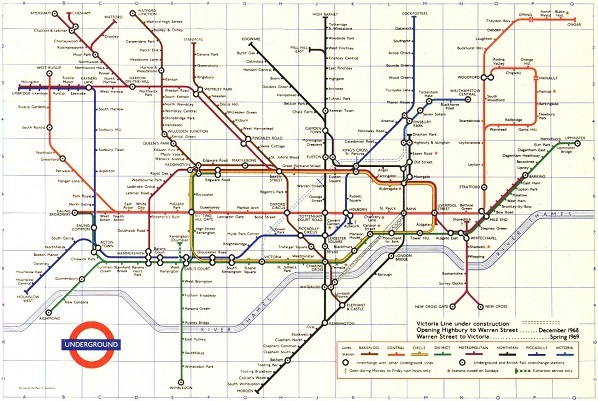 — as is the London Underground symbol — and for that matter, the glyph for female, earlier the alchemical symbol of Venus. — which I’ve long thought would make a superb extended HipBone Game board, shown above in its 1968 incarnation. But that’s not it either. And although I don’t think gender should influence the pay a person receives for a given quantity or quality of work — Quant and Qualit again, one of the weirdst paradoxes my min d has ever encountered — it’s not the politics of the sign that interests and delights me. 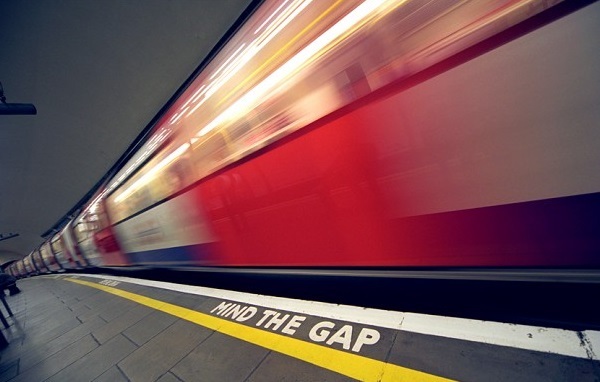 And yes, I’m aware that technically the equation I’m pointing to happened in two stages, with the substitution of the phrase “mind the gap” for the word “underground” in the blue bar of the tube logo — but the bar was also used, among other things, for the names of individual stations, so I don’t consider that much of a creative leap. 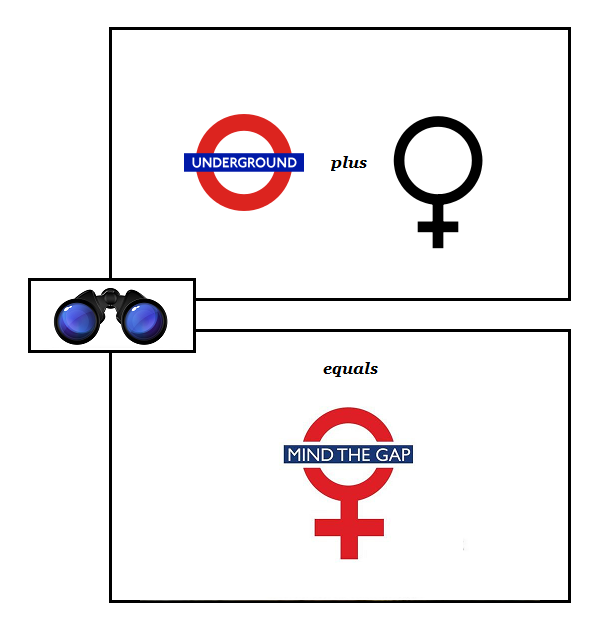 No, it’s the juxtaposition of underground logo with the gender sign by means of a conflation of their respective circles that’s impressive, coupled with the pun on the gender-specific and underground meanings of “mind the gap”. That’s the very essence of the intersections Koestler was talking about, and illustrates as vividly as I know how, the power released by such an intersection. 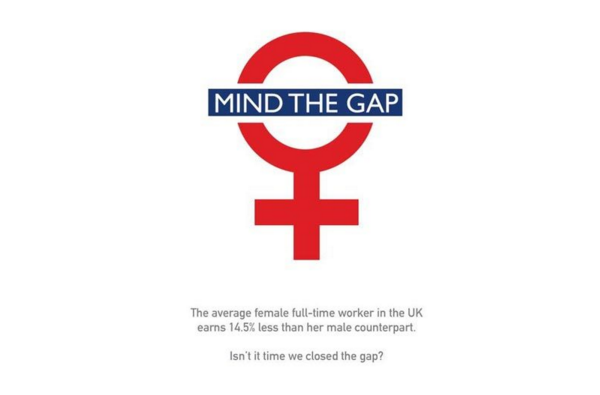 Oh, and yes — fair play clearly requires fair pay. And it’s Hedy Lamarr‘s birthday, dammit.